Two people were fatally injured in vehicle crashes in San Diego County over Memorial Day weekend, authorities said Monday. Both fatal wrecks occurred Sunday morning. In the first, a motorcycle crashed shortly after 2 a.m. at Normal and Washington streets in San Diego’s University Heights neighborhood, according to the California Highway Patrol and San Diego police. The rider, a 55-year-old man, lost control of his motorcycle, struck a planter and died at the scene, police said. And shortly after 7:30 a.m. Sunday, another motorist was fatally injured in a two-vehicle crash on southbound Interstate 5 just south of Via de la Valle in northern San Diego, according to the CHP. That person was severely injured in the crash and later died at a hospital, CHP officials said. 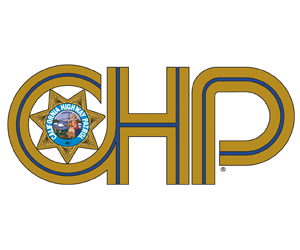 No local fatalities were reported by law enforcement agencies over the same time period last year, CHP officials said. Statewide, 19 people were killed in traffic accidents between 6 p.m. Friday and 6 a.m. today — four more than in 2013, according to the CHP. CHP officers in San Diego County made 69 suspected drunken driving arrests during this year’s reporting period, compared with 82 arrests last year, authorities said. CHP officers around the state arrested 1,111 drunken drivers this year, down from 1,133 last year, according to CHP officials.